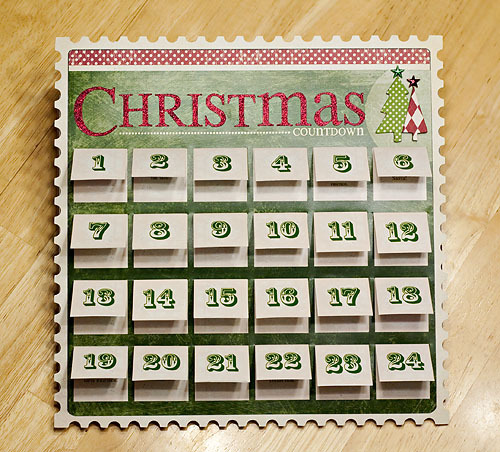 It's Written on the Wall: 13 Christmas Countdown Calendars for the Kids and Family - So Much Fun!!! 13 Christmas Countdown Calendars for the Kids and Family - So Much Fun!!! 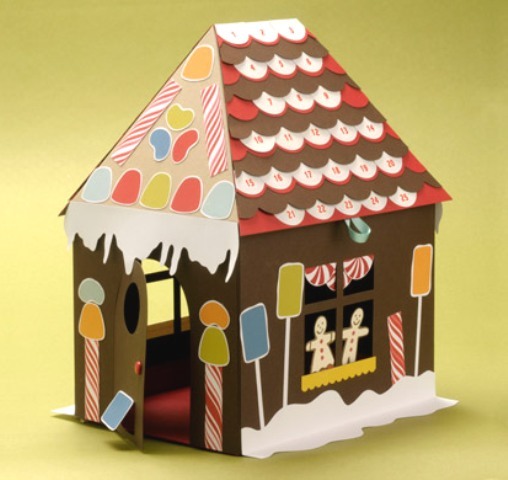 What a darling Gingerbread house....but it is also a Christmas countdown calendar (See the roof) The Gingerbread house itself can be purchased Here Get all the directions by clicking Here. 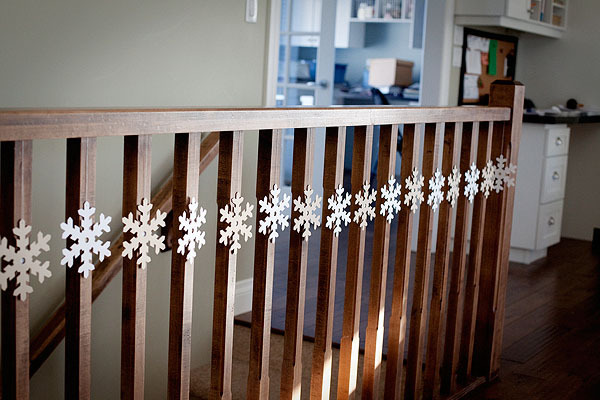 Sturdy cardboard with a high gloss white finish. 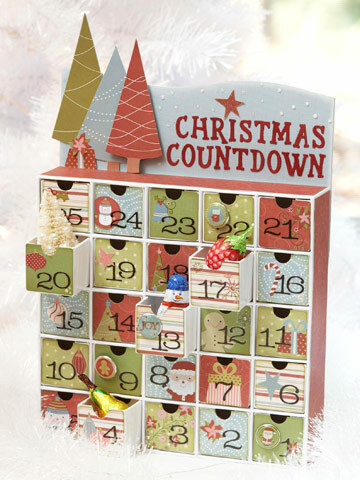 Features 25 drawer/boxes with finger notches and a sheet of countdown number stickers. Each drawer measures 1.5"x1.5"x1.5". Countdown Calendar Dates on back of package shows dates for upcoming holidays. 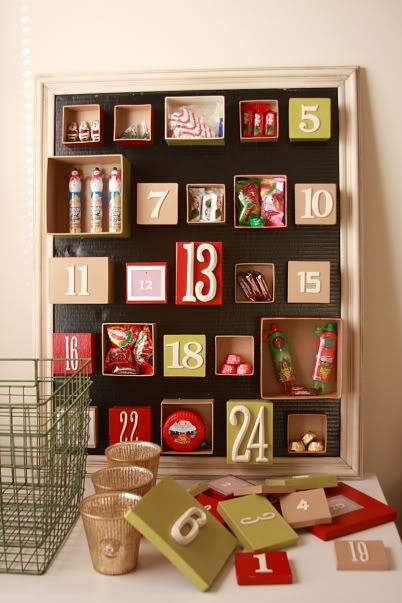 Decorate the outside of each box and fill them with candies, trinkets, toys, etc. 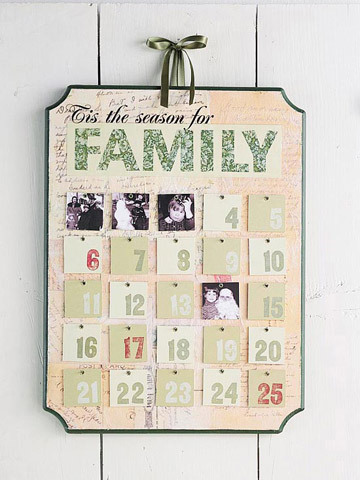 Use your Countdown Calendar to get excited for important days such as holiday, birthdays, anniversaries, vacations, weddings, and more! 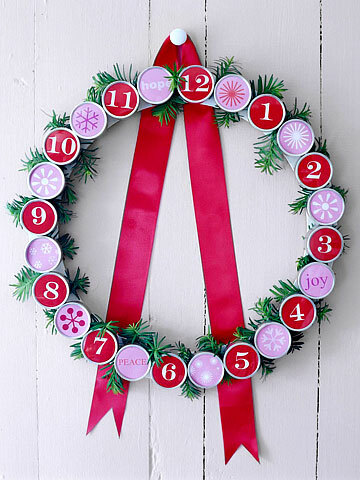 Measures 8"x8.5"x1.75") It is only $14.88. I've seen them elsewhere at 29.99. 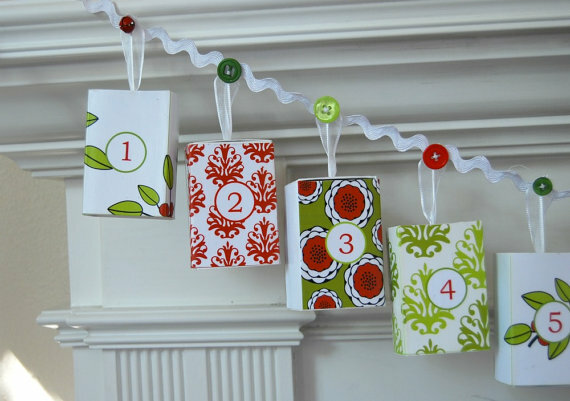 Tag #1, Tag #2, Tag #3, and these tags are red and cute Tag #4 You can also purchases these tags at office supply stores. 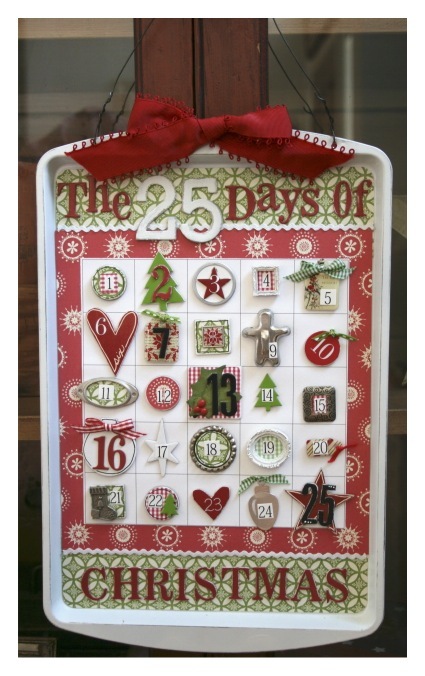 Here's a fun way to display the boxes you've painted and put numbers on for a count-down calendar. 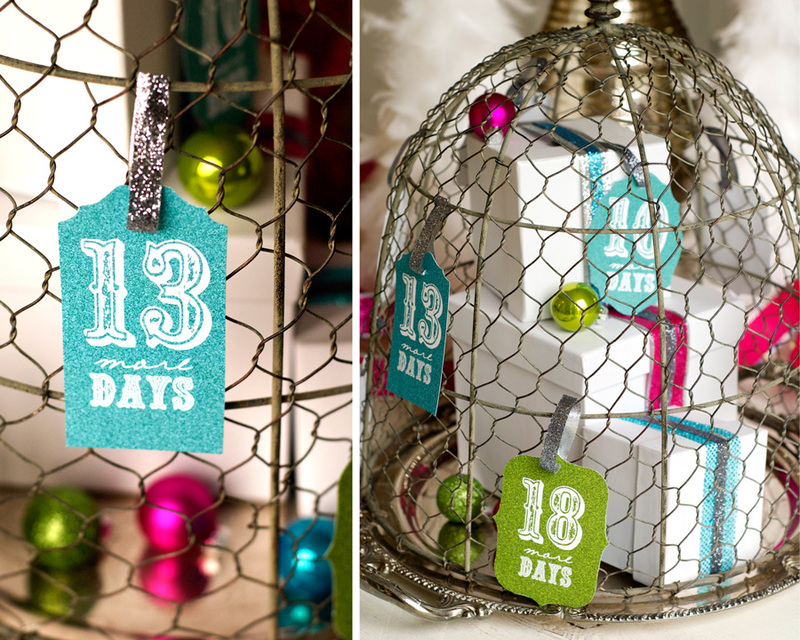 Get a large frame, place a backing in it and glue the boxes to the backing and you've got your countdown. 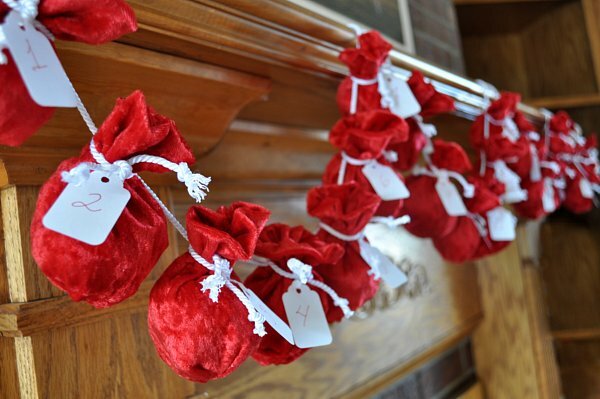 Fill them with treats, gifts or paper with fun activities. 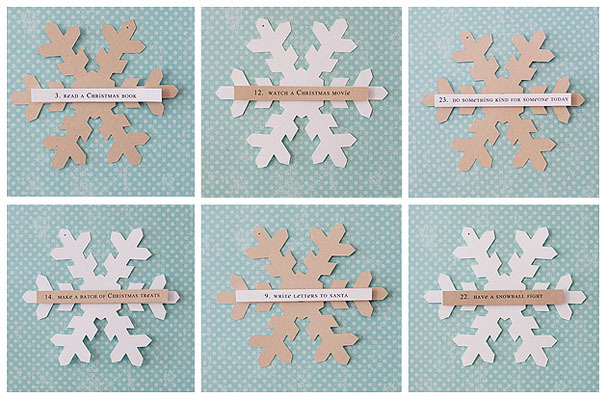 Which one will you make this year? 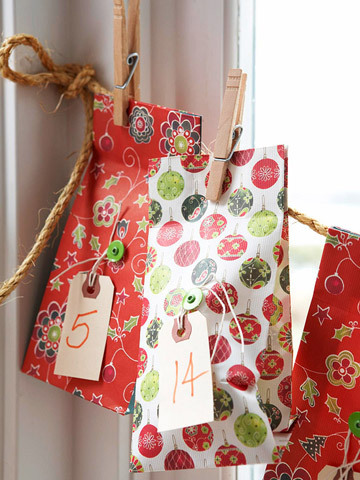 Whichever one you do (even if it isn't one of these) the kids will absolutely love opening a bag, a window or a package every day until Christmas! I tried to get the instructions for the cookie sheet count down but it comes up the page can't be displayed.